The park grounds are open on a limited basis in the winter months as weather permits. Snow is not removed. No smoking – The Otter Tail County Smoke-Free Policy prohibits smoking on all county property. However, per the policy, smoking is allowed in privately owned vehicles while on county property. After more than 100,000 settlers poured into vast tracts of Dakota Territory in the 1850s, disputes over land and treaties combined with opposing cultural concepts of property ownership led to antagonism and occasional hostilities between European Americans and the Dakota. Following the “Spirit Lake Massacre” in 1857 and the U.S.-Dakota War in 1862, rumors of “Sioux depredations” frequently terrorized entire Euro-American communities. 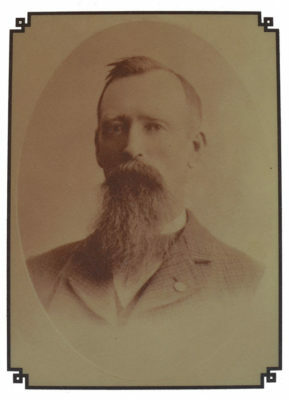 One of the largest “Indian Scares” in Minnesota history took place in the weeks following the defeat of the U.S. Army forces led by General George Armstrong Custer at Little Bighorn in 1876. Settlers throughout western Minnesota abandoned their farms following multiple rumors of Indian attacks. Rather than fleeing, a small group of Norwegian settlers in Otter Tail County led by Civil and Indian War veterans Hans Juelson and Berge O. Lee constructed Fort Juelson to protect their community. They built the fort on the burial mound group to utilize the hilltop ’s prominent position, using principles of defense the leaders learned while serving in the U.S. Army. Located on top of this hill in Tordenskjold Township, the 100′ x 120′ fort had four sod walls and two cross walls through the center. Its strength was tested when a homemade bear gun from Norway was shot at it. When it was finished in July 1876 Juelson remarked that the fort was as sturdy as any he had seen during his time with the Army of the Potomac. 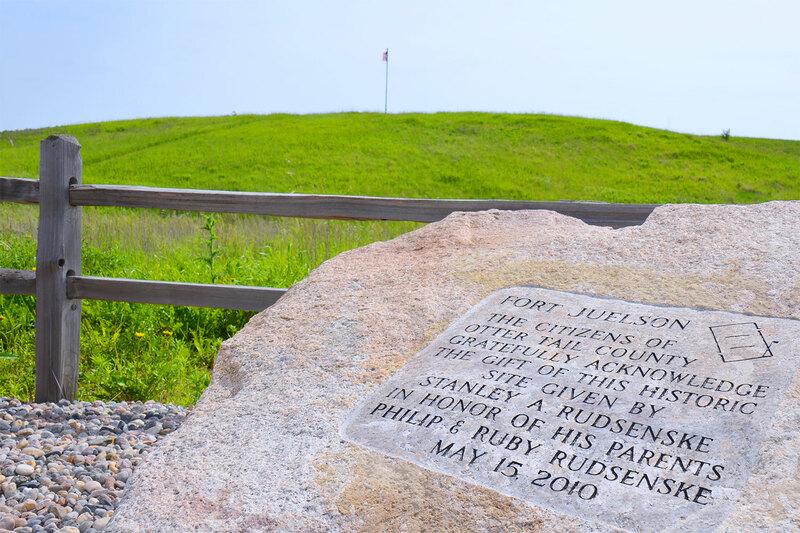 Fort Juelson preserves a unique archaeological site consisting of a Woodland Tradition burial mound group within the area of an 1876 European settlers’ earthen defensive barricade. The Fort Juelson mounds are significant as an example of a small, largely intact group of Woodland Tradition burial mounds built by American Indians sometime between ca. 800 B.C. and 1700 A.D. Cultural descendants of these people, the Dakota, lost access to traditional sacred places such as those marked by the burial mounds at Fort Juelson as a result of treaties signed in 1851. The Fort Juelson site located about 2 miles east of Underwood, Minnesota, was acquired by Otter Tail County, and dedicated to the people of Otter Tail County on June 11, 2011.